For the best in home improvement, come to us for our personalized attention by our dependable and reliable contractors. We want you to be 100 percent satisfied with the end result, which is why we work alongside you every step of the way to get your design ideas and input. With 30 years of experience in this industry, we bring quality home improvement to you at a competitive price that won’t break the bank. Homecraft® Inc. also services Delaware, Maryland, New Jersey, and Pennsylvania, particularly Exton PA, which is located in Cambria County. This small community certainly has a lot of heart. Sitting in Chester County,the population is just about 5,000. 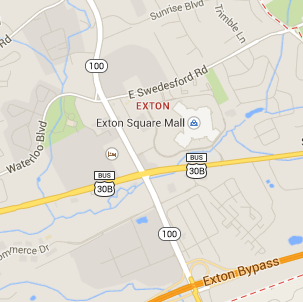 The town is home to the Exton Square Mall and Main Street at Exton as well as many other shopping centers, giving it the distinction of being a major shopping district within the county borders. Replacing your old drafty windows is easy when you rely on our team of installation experts and our high-quality replacement windows in a variety of styles and prices. We give you a choice between Homecraft® vinyl replacement windows or Andersen® wood replacement windows. With unbeatable performance, guaranteed energy savings, and reliable service, you can’t go wrong with our windows. 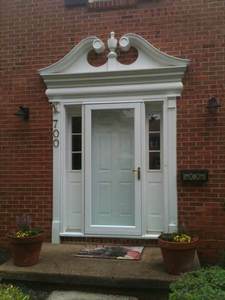 Let us craft you a whole new entryway to boost the look and feel of your home. 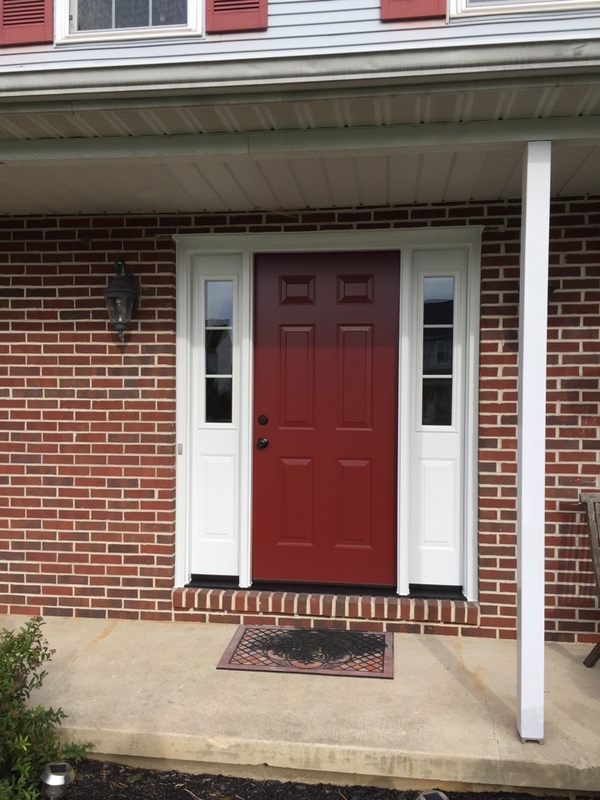 Thanks to weather-resistant storm doors that shield your home yet look great, you get durable entry doors that are unmatched in quality. In addition, we can replace your broken old patio door with a new sliding door, or your old automatic garage door with a brand new one. 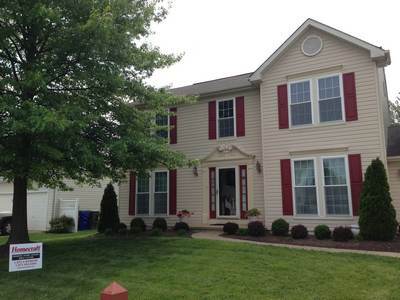 For the utmost in protection for your home, our vinyl and cedar shake siding offers you increased energy efficiency and aesthetics in Exton PA. You don’t have to hassle with painting the house ever again. You also benefit from the insulation factor that our siding presents. Look to Homecraft® Inc. to transform the look of your home, whether you want a traditional style with cedar shake siding or a more modern style with maintenance-free vinyl siding. Along with quality gutters, you need a durable roof that will last decades. We offer a “Golden Pledge™” warranty protection as your GAF MasterElite™ roofing contractors, giving you a superior roof and expert installation. Our contractors are highly skilled in all the best installation techniques and materials, whether you’re looking for a repair or replacement. Does your home suffer from damaged, sagging gutters? This can be a safety hazard, not to mention those old gutters aren’t doing a good job of diverting rainwater off the roof. 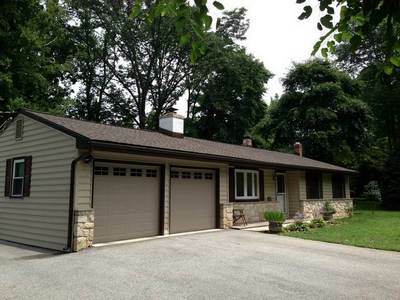 Homecraft® Inc. can install a quality gutter system that complements your roof for peace of mind and top-notch performance in Exton PA.
FREE Estimates on Exton PA Home Improvement, Windows, Doors, Siding or Roofing. Call Homecraft®, Inc., today at 1-877-494-0377 to schedule a FREE in-home consultation and estimate for your Exton PA home improvement project, roofing, siding, replacement windows, doors, or gutters.